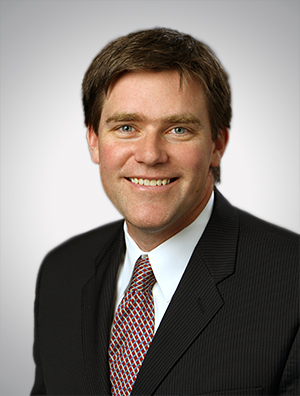 John Barlament is a member of the Firm's Employee Benefits team. He is an author of one of the country's leading manuals on the HIPAA privacy and security rules, HIPAA Portability, Privacy & Security (Thomson Reuters / EBIA), as well as other seminal publications including A Primer on Online Privacy (Wisconsin Lawyer magazine) and International Guide to Privacy (American Bar Association). John is recognized as a national leader in these emerging and constantly changing areas of law. He has been quoted in leading publications including The Wall Street Journal, and interviewed by national media including National Public Radio, about privacy, data breach and cybersecurity matters. Additional detail on this data privacy and security experience is below. Additional Detail: Employee Benefits Experience. John's introduction to the Data Privacy & Security area arose through his deep and broad experience in the Employee Benefits area. John has assisted hundreds of employers, plan sponsors and business associates with compliance questions and strategies for the HIPAA Privacy Rule and Security Rule, along with related matters, such as how plan sponsors should safeguard plan-related data. John serves as the Chair of the Firm's Health and Welfare Team, a part of the Employee Benefits Team. In that role, John represents employers, third-party administrators, fiduciaries, brokers, and benefit consultants in all aspects of employee benefits law, with an emphasis on health and welfare plan matters. These matters include health care reform questions (Affordable Care Act / American Health Care Act); ERISA; COBRA and mental health parity. John is a noted, national speaker on these matters, and is a contributing author of two of the country’s leading manuals in these areas Consumer-Driven Health Care (Thomson Reuters / EBIA) and the above-noted HIPAA Portability, Privacy & Security. For multi-employer plans, John is one of the few attorneys in the country who has limited his practice to representing multiemployer plans and their trustees on a "sole counsel" basis. That is, in order to ensure consistency in advice among multiemployer plan clients, John does not represent "management trustees" or "labor trustees" -- instead, he represents both, with no bias towards either side. John prides himself on staying abreast of state-of-the-art industry practices, and translating complex and intersecting areas of law into practical, plain-English advice -- all to help clients efficiently meet the challenges arising from these rapidly changing areas of law.